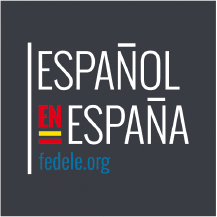 The “Diplomas of Spanish as a Foreign Language” (DELE) are official titles certifying the degree of competence and mastery of the Spanish language, granted by the Ministry of Education, Culture and Sport of Spain. 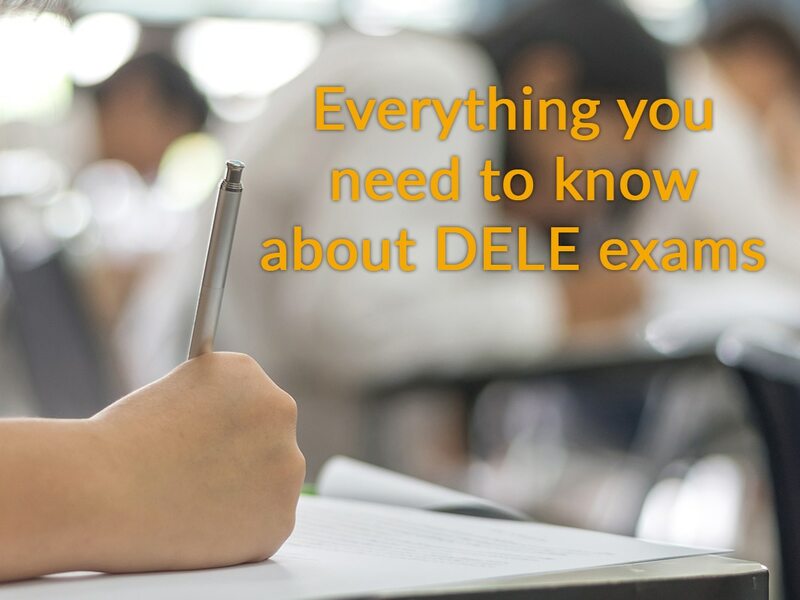 If you’re thinking about taking it and getting your Spanish level officially certified, keep reading as we go through everything you need to know about the DELE exams. How many exams and levels are there? There is also a DELE exam for teens between 11 and 17. How many sections does the DELE exam have? What does each level measure? A1: Obtaining this diploma certifies that you have a basic knowledge of the language that allows you to communicate in situations related to immediate needs or daily situations. A2: This diploma certifies that you understand phrases and expressions that are commonly used to give basic information about yourself, your family, work, etc. B1: The B1 exam evaluates your capacity to produce and understand texts of topics related to work, studies or leisure. It will also evaluate your way of dealing with typical situations while travelling in Spanish speaking countries and your capacity of describing experiences, wishes, opinions, etc. B2: This test focuses on evaluating your capacity to interact with native speakers with fluency and spontaneity. You will also have to produce texts about diverse topics, defend your opinion and understand complet texts both about concrete and abstract topics. C1: Obtaining this diploma requires understanding demanding texts, expressing yourself fluently and spontaneously, have language flexibility to adapt to social, academic and professional purposes and producing clear, well-structured texts about complex topics. C2: The DELE C2 certifies sufficient linguistic competence to communicate effectively in any situation. What are the parts of each exam? Written expression and interaction (25 minutes, 2 tasks). Oral expression and interaction (15 minutes). Written expression and interaction (50 minutes, 2 tasks). Reading comprehension and use of language (90 minutes, 5 tasks). Integrated skills. Listening comprehension and written expression and interaction (80 minutes, 2 tasks). Listening comprehension and use of language (50 minutes, 5 tasks). Integrated skills. Reading comprehension and oral expression and interaction (20 minutes) (and 20 minutes to prepare). The final grade is either pass or fail. 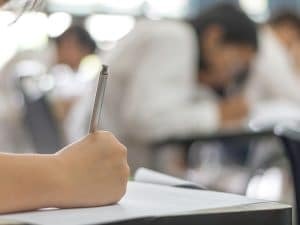 The maximum possible score is 100 and a minimum score of 30 is necessary in order to receive an overall “passing” grade. Where is this certificate recognized? The Diploma is recognized worldwide and it is highly renowned both in educational institutions and in the business world. Obtaining this certificate proves that you have certain language skills, which are highly valued when it comes to applying for jobs. Where can you take this exam? Once you’ve studied hard and you are ready to take the test, you can do it in any of the Cervantes Institute centres. There is also a wide network of external centres where you can take the exam, including universities, academies, etc. Additionally, there are more than 900 centres in more than 100 countries. Once you have taken the test, you will have to wait approximately three months to get your results. If you pass, you will receive the accrediting diploma. The price for the exam will depend on the level that you sign up for and the country in which you decide to do it. We suggest you ask for the specific price in the center where decide to take it. Check out the 2018 DELE calendar! 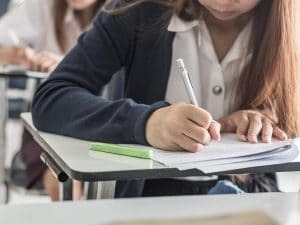 Do you need help preparing for the DELE exam? Get in touch with us! At LAE Madrid we offer great courses for you to nail the test! Follow us on Facebook or give us a call for more information.